SCE serves about 4,000 year-round residents on Catalina Island and its 700,000 visitors each year. SCE, Los Angeles County and the city of Avalon partnered to bring a second desalination plant online in April, so far producing more than 7.7 million gallons of drinking water. The ongoing drought and a weak El Niño drive the need for additional water restrictions. Catalina Island residents and businesses are acutely aware of the need to conserve water and have worked hard to reduce their water consumption. Yet, because of extreme drought conditions, Catalina has been in 25 percent water rationing since August 2014. The community has taken measures to cut back water use and has been successful in delaying 50 percent water rationing. These efforts have resulted in consumption being reduced by an average of 40 percent. 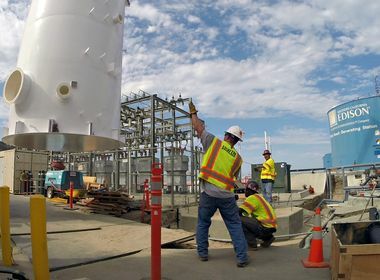 Southern California Edison, Los Angeles County and the city of Avalon also partnered to bring a second desalination plant online in April, so far producing more than 7.7 million gallons of drinking water. But the impacts of the historic drought in California, combined with a weak El Niño that brought less-than-expected rainfall and predicted La Niña conditions this winter, means additional water rationing is needed. 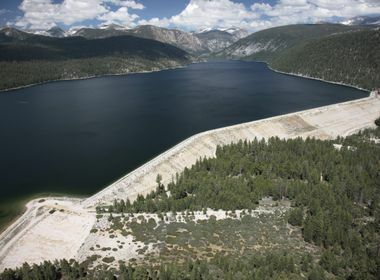 The water level at SCE’s Middle Ranch Reservoir has dropped to 160 acre-feet, 15 percent of capacity, a level not seen since the drought in 1977. This led to SCE’s announcement that it will implement Stage 3 water rationing on the island. The plan was announced at the Avalon City Council meeting tonight and implementation is scheduled to begin on Sept. 6. The percentage of Stage 3 rationing will be determined by customer class, source water systems and volumetric usage. Stages of water rationing on the island are triggered by the water level in SCE’s Middle Ranch Reservoir. The current 25 percent rationing began in August 2014 when the reservoir level fell below 300 acre-feet. The trigger level for Stage 3 rationing is 200 acre-feet. SCE will soon file a request with the California Public Utilities Commission to implement Stage 3 rationing and submit its implementation plan. This will be followed by notices to residents and business owners as well as a public meeting to address questions related to customer allotments and percentages.